The Main Street Extension, approximately ¼ of a mile in length, was a proposed gateway to downtown Round Rock. 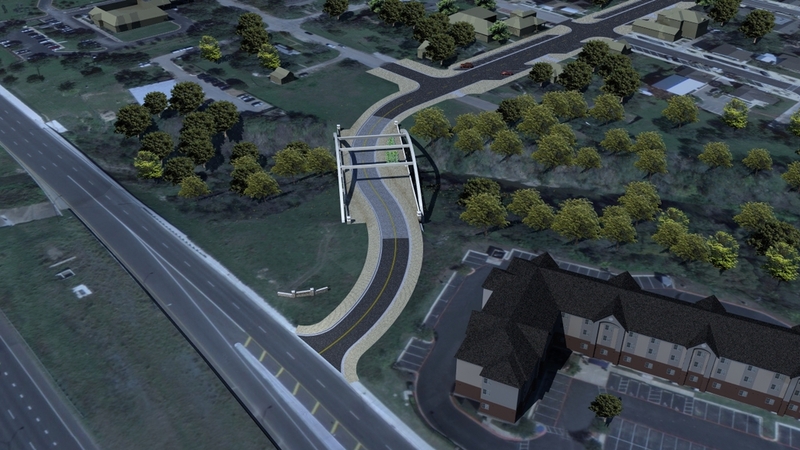 As part of the City’s Strategic Plan, a bridge over Lake Creek was proposed to carry vehicles, bicyclists and pedestrians and a trail under the bridge was proposed for pedestrians and bicyclists adjacent to the lake. Aguirre & Fields served as the Structural Lead subconsultant under the management of Dave Lubitz. Four bridge designs, aesthetic and cost options were presented to the public and the City for consideration. All bridge options utilized 2-14 ft lanes, 2-8 ft sidewalks, and a 2 ft curb and gutter on each side. The structure itself was 180 linear feet across the creek. Alternative analysis for a structure that passed the 100-year design storm over Lake Creek. Providing models and exhibits for use in the public review/comment stage. 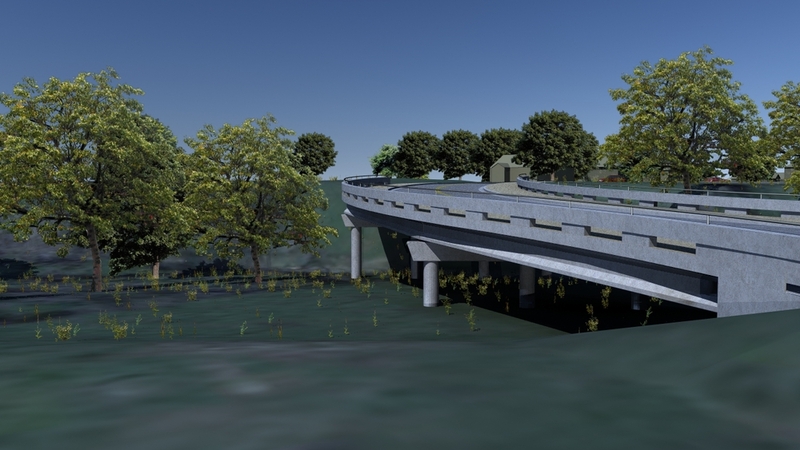 Four bridge design options were presented ranging from a standard to a signature bridge. Aesthetic analysis to complement the existing City facilities. Special considerations including: wearing surface, sidewalks, lighting, and seating. Cost estimates for each of the four alternatives. Oversight on geotech, survey, environmental/cultural resources components. Participation in City Council, stakeholder groups, and City Transportation/Engineering staff discussions.